Audition for a Disney show! Disney cruises will be holding open calls for singers for different shows. Disney routinely holds open auditions for performers to join the various shows they produce for their parks, cruise lines and other projects. Auditions for Male Vocalists for Disney Cruise Line. Tuesday, November 27, 2018 at 10:00 AM – sign-in at 9 AM. 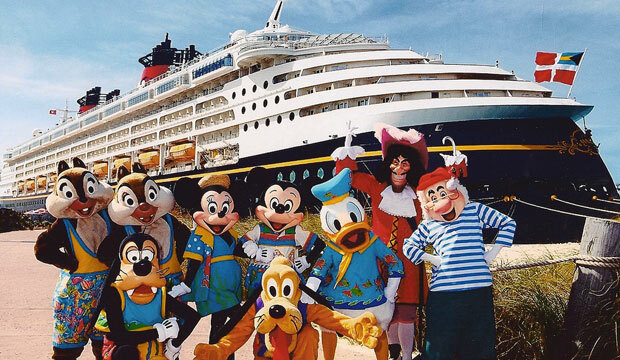 Disney Parks Live Entertainment & Disney Cruise Line® is auditioning Actors who sing well for the Summer European and Alaskan season onboard the Disney Magic and Disney Wonder cruise ships. We hire a repertory company to perform full scale musical theatre shows. Mid-February 2019 will begin the nine month commitment, including rehearsal in Toronto. Contract includes competitive pay, travel, room and board, guest sailing privileges, significant contract completion bonus and some guest dining privileges. DUKE OF WESELTON: Male, 20s-30s, 5’9” and under, All ethnicities welcome; Top notch comedic actor with dark and manipulative undertones. Must bring strong movement to the ensemble. Bari-tenor. *Also to portray various roles within the repertory. GRAND PABBIE: Male, 20s-30s, 5’7”-6’0”, All ethnicities welcome. A confident mover. Bass. *Also to portray various roles within the repertory. FRANCO: Male, 30s, 5’7”-6’0”, All ethnicities welcome. ”Song and dance man”. Comedic actor with movement and strong vocals. Charismatic Baritone with pizzazz. *Also to portray various roles within the repertory. MALE LION KING VOCALIST: Male, 20s-30s, 5’8’’-6’0, All ethnicities welcome. Soaring Tenor. *Also to portray various roles within the repertory. STABBINGTON BROTHERS: Male, 20s-30s, 6’0”, All ethnicities welcome. Masculine, burly, tough, physically intimidating character actor. Excellent physical comedic actor/singer. *Also to portray various roles within the repertory. ENSIGN BENSON: Female, 20s-30s, 5’3”-5’5”. Very strong comedic actress and vocalist. Must sing well, musical theatre mix to an F. *Also to portray various roles within the repertory. BULDA/ CIRCLE OF LIFE VOCALIST: Female, 20s-30s, 5’3”-5’6”, All ethnicities welcome. Motherly and sassy troll. Also sings Circle of Life in an alternate production. A confident mover. Must have a bright and powerful gospel belt. *Also to portray various roles within the repertory. FAIRY GODMOTHER: Female, 30s and above, 5’6’’ and below. Experienced comedic character actress who sings well. Musical theatre soprano. *Also to portray various roles within the repertory. BLUE FAIRY/ ARIEL: Female, Early 20s-30s, 5’5”and above. Moves well with slender physique. Beautiful soprano with strong mix. *Also to portray various roles within the repertory. CRUELLA DeVIL: female, 20’s+, 5’7+. Dancer with great character actor ability, strong singer and dancer. Please be sure to create your profile at https://jobs.disneycareers.com/auditions if you plan on attending the auditions. You may also check out the Disney audition schedule to see what other Disney auditions may be going on in your city.